Sew Bitter Sweet Designs thank you for hosting this party. Done on last day of submission and almost the last hour. I started the paper pieced heart about 5:30 a.m. this morning. It is a Sew-In Carry all to put all the sewing things I need when I travel with my sewing and quilting. 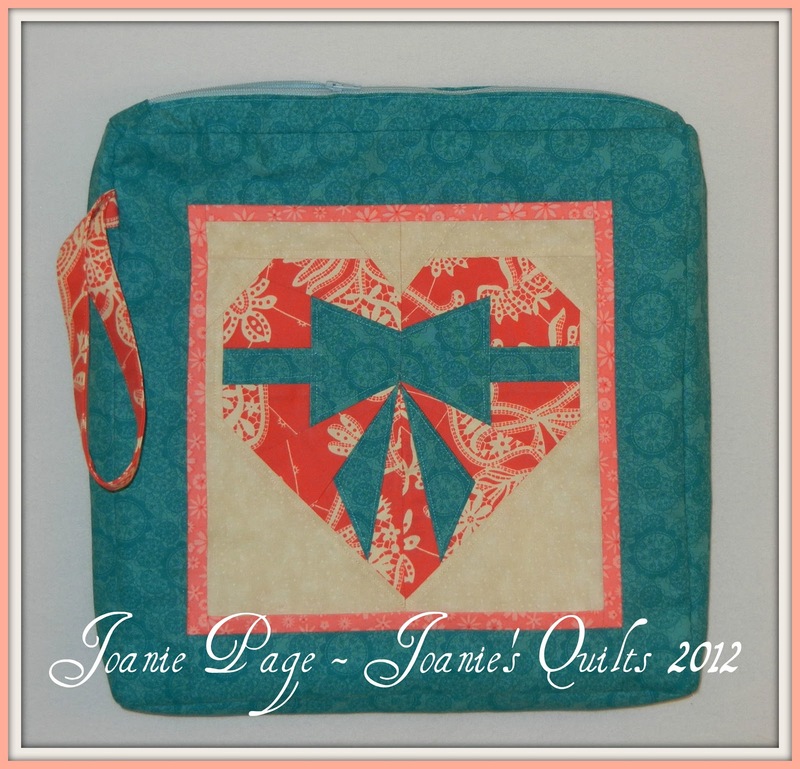 The back side is quilted and the bow on front and the outer ridges of the heart are quilted too. 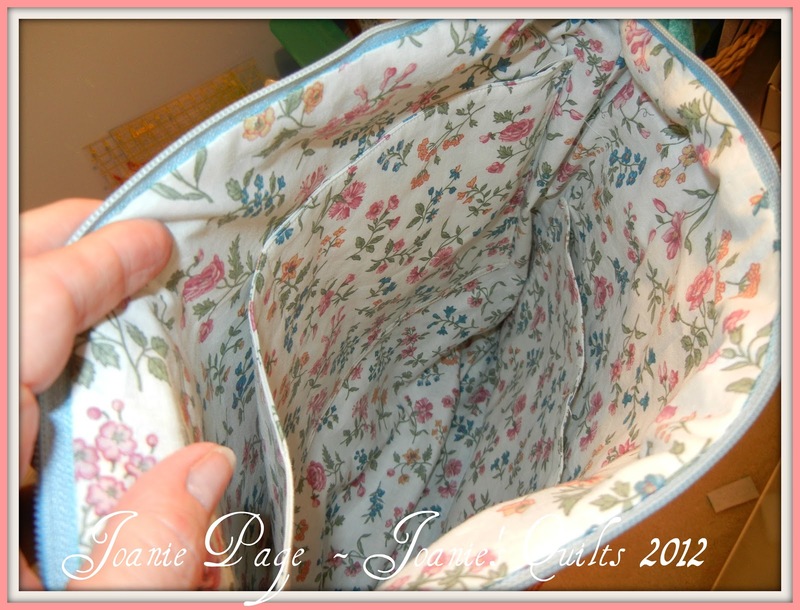 It is lined and each side of the lining has pockets, one sewn down the center and one left to put long items in it. It closes with a zipper. A great big thank you to hubby for supporting me while I spent the best part of the day sewing. He even made me dinner and served it to me in my sewing studio. Good Night All! I am bushed. Thank you so much for linking up! Your carry-all is darling! 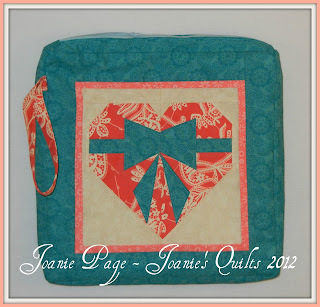 Love the heart with the ribbon on it! This is so beautiful! Thanks so much for sharing it! I really like the color combination and that precious design! Great job!